Dr David G. Horner’s interview with Katerina Sokou for the “Meal with K” section of Sunday Kathimerini newspaper appeared on January 18, and afforded readers with a profile of The American College of Greece President, his accomplishments at ACG since taking over in 2008, as well as his views on the educational system in Greece. In the wide-ranging interview, Dr Horner also discussed the ways that ACG can share its experience in higher education with other educational institutions in Greece, help in public administration, in addition to helping US educational institutions that want a presence abroad. “When I saw the campus, I knew it could be a good choice for American institutions which want to widen their educational presence abroad. We offer them a campus and the full spectrum of academic programs, which are the best American programs in Europe. Our aim is to cooperate with the 50 best educational institutions in the US. We are working with ten of them now and I believe this number will increase,” Dr Horner said, outlining ACG’s international partnerships, including the latest, in Hospitality and Tourism Studies with Cornell University. 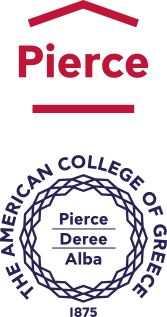 When asked about ACG today, and the years through the crisis, Dr Horner said that “We have turned the page as the number of students in the three ACG divisions (PIERCE, DEREE and ALBA) have gone back up to the levels of 2008,” while he outlined the merits of the US higher education model. Dr Horner, who spoke in Washington DC over a meal at the Iron Gate restaurant, added “When I met the Greek-American Community, they made it clear to me that their biggest concern was to maintain their Greek identity. They wanted their children and grandchildren to experience Greece. So, I thought we had an obligation and that it was part of our mission to contribute to the maintenance of the Greek heritage for the Diaspora Greeks,” he said, describing the Heritage Greece program which allows US students of Greek descent to go to Greece for a cultural immersion experience, created by the National Hellenic Society and hosted by The American College of Greece. When asked about the Greek crisis and the future of Greece, Dr Horner maintained that if Greece continues on the path of reforms, it should do very well, exit the crisis, and thrive. In the interview, Dr Horner also pointed to new ACG Board of Trustees Member, John Pyrovolakis, who believes that Greece has huge potential in technology and commercial applications, and that he can see an important role for ACG as the link between the US academic research and Greek enterprises. When asked whether Greece can become a center of education, Dr Horner said that Greece could indeed become such a center provided that Greece’s educational institutions adapt so that “they reflect international criteria and practices,” adding that ACG could contribute “with other players in the field,” for example in forging links between Greek universities and US universities. “We have a long history, we have the resources and connections with exceptional partners, and we can help,” Dr Horner underlined. “The fact that the world is more reachable benefits Greece, because Greece has something universally appealing and that is its cultural heritage, which is valued everywhere,” Dr Horner concluded. ACG President Dr Horner’s interview with Kathimerini’s Sunday edition was published January 18 and can be found here in Greek.